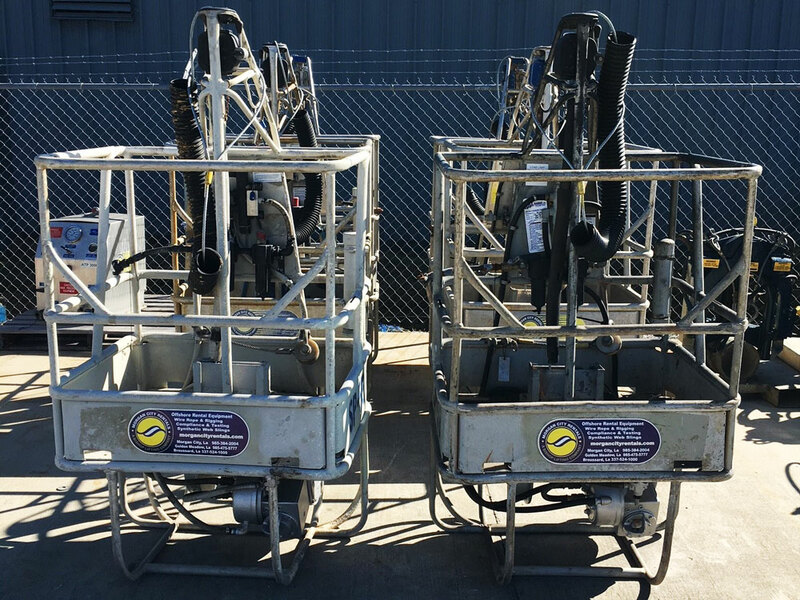 All Spider rentals are complete with certification, arc guard and cable insulator. NOTE: Each rental will include the sale of the wire rope (100’ or 200’ length) at a quoted price. Used wire rope will not be an acceptable substitute. Used wire will be decommissioned after each rental. Morgan City Rentals offers personnel baskets for daily, weekly or monthly rentals. 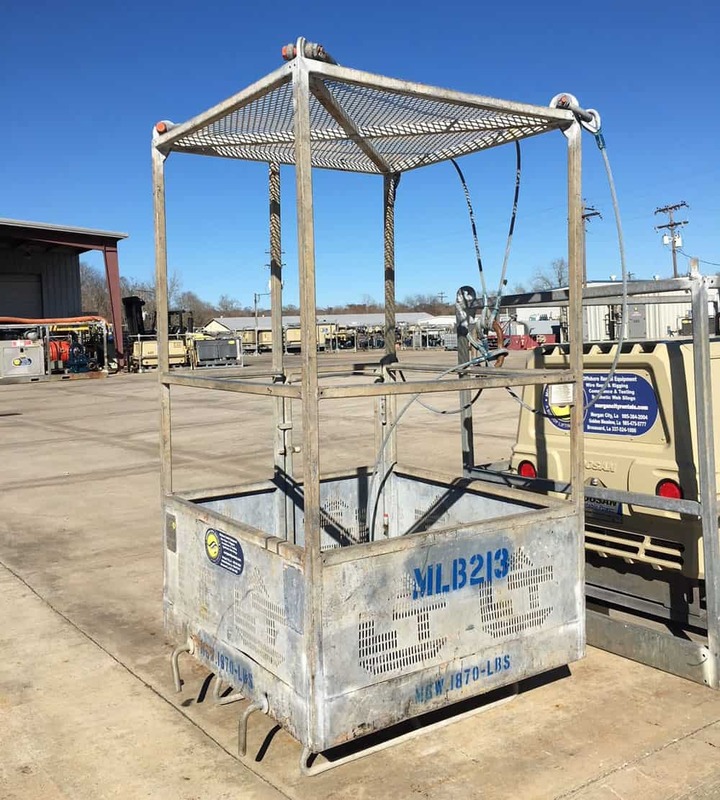 Each two-man personnel basket is complete with certification, gate, overhead protection, 750 lb test weight and certified 4 leg lifting sling. Max. Load Capacity - 600 lbs.